If candy were a stock, its price would probably plummet on November 1, and stay bottomed out until at least Valentine’s Day (except for those valuable candy cane futures). But a group of dentists is upping the value of your tiny chocolate bars by buying back Halloween candy for a good cause. 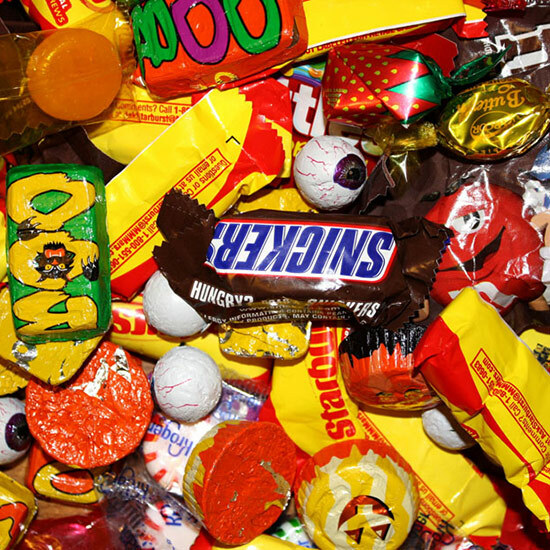 A Wisconsin dentist, Chris Kammer, started the Halloween Candy Buyback 2005, with the goal of getting a bit of candy “off the streets,” as his website states. The plan was simple and inventive: pay $1 for every pound of excess Halloween candy brought into his office. Kids would not only learn to make healthy choices, but also help others—all of those extra sweets would be shipped to our troops overseas, who will presumably eat with more self-control than a typical 12-year-old. The response has been overwhelming. According to NPR, more than 2,500 dentists and orthodontists are participating this year, up from around 300 in 2007 (the first year Kammer took his program nationwide). There are so many participants, in fact, that the organization even has a zip code locator to help find an office near you. In a partnership with Operation Gratitude, the Halloween Candy Buyback has shipped more than 130 tons of candy overseas to date. That equates to more than a quarter of a million dollars in buybacks, potentially putting kids’ lemonade businesses to shame. And don’t worry about the troops. All of those dentists are including toothbrushes in the care packages. Our soldiers need to remember to make healthy choices, too. If you’re interested in participating, find more information at the Halloween Candy Buyback’s website.